Astrologically, the lunar month began on the 15th of February with the new moon in Aquarius in the constellation Dhanistha. As such, this is the presiding energy until about the middle of March at which point the energy will shift with the next New Moon. Let’s look at Dhanishtha for a moment to better understand the energy that will be prevalent for the first two weeks of March. This is a powerful lunar mansion (nakshatra) that is full of conflicting energies. As the apex of martial energy this sign has tremendous power to overcome obstacles and achieve success, but this martial energy is shaped and grounded by the heavy Saturn energies of Aquarius. This is potentially great because it means the fast-moving and spontaneous energies of Mars get some much-needed practicality and patience, but this really depends on your relationship to the planet Saturn and how you work with your “shadow”, the deeper parts of your subconscious. If you are open to self-work and exploring the depths of your mind then this can be a great time for you, but if those more Saturnian parts of the self frighten you, and you’re afraid of the dark, then the weight of Saturn can squash all that nice martial energy and take the wind out of your sails. The image of the Aquarian part of Dhanishta is the flute, where one single breath manifests as a great variety of notes and harmonies. This has many levels of interpretation, but for most people I understand it to mean that you need to bring the various parts of your life into harmony under a single “breath”, a single focus and will. Many of us end up directing our energies a hundred different directions, like trying to play a hundred flutes at once, and we end up just making a bunch of windy noise! We have to understand the holes of the flute to be the eight deities associated with this lunar mansion, the Vasus, who each indicate a raw power of the cosmos. They are named after the elements, the stars, the Sun, and the Moon. These eight Vasus are the raw energies of your Self, or in a more exoteric sense, the energies of whatever project or goal you are working on and setting out to achieve. If you can unite them with the one breath of focus, then you’ll find all the parts of your work coming together in harmony to make a beautiful song! For those of you who are doing a lot of self-work at this point in your life then the energies of Dhanishta will teach you how to work with your own innate powers and bring them into harmony. On the 17th of March the next Lunar Month of Chaitra will begin under the energy of the constellation Uttara Bhadra. This is one of the most intense lunar mansions for spiritual work and self-growth. Where Dhanistha deals more with all of the powers of the self (including the darker sides) Uttara Bhadra deals exclusively with the deeper and darker aspects of our psyche, being the apex of Saturnian energies in the watery sign of Pisces. The vedic deity that presides over this lunar mansion is Ahir Budhnya, a serpent-god of the watery depths. This serpent is the child of Vishwakarma, the old vedic architect of the universe. The Ocean that the serpent dwells in is the psyche, while the serpent itself is the hidden wisdom that the Architect of the cosmos placed in all things. This constellation is excellent for deep personal work, spiritual retreat, sacred rituals, and builds nicely on the energies of Dhanistha from the first part of the month. On a more mundane level, the last two weeks of March are a great time to make plans and set the foundations for new projects that will be initiated later in the year. While making these plans you may realize that you will have to get rid of some employees, let go of a business partner, or forcefully overcome an obstacle to your work, all of which will need to be done with a determination that may appear as calloused or cold. The month begins with a nice Mars/Jupiter combo in Scorpio that will improve as the month goes on, making this a great time to work on your health. The proximity of the ascendant lord Mars with Guru (Jupiter) can also indicate spending time with your spiritual teacher, traveling for the sake of education, or studying medicine. When these two planets influence each other it can lead to a swelling up of creative energy, giving you new ways to approach your health or education. The lunar nodes of Rahu and Ketu will still cause some issues, as Rahu in the 4th can change your living situation or make it unstable. You may move, or just bounce from place to place, couch-surf, etc. Ketu in the 10th house will result in either no work or in a similar work situation to your living situation, moving from job to job, place to place. It is, however, a good placement for real-estate since Ketu is bhumikaraka (indicator of land). Saturn has made a big move out of the lunar mansion Mula into the constellation of Purva Ashaddha. Mula is an intense constellation that often makes life stressful and stagnant, but Purva Ashaddha is a constellation of forward movement, accomplishment, and success! Ruled by Venus, an important planet for business for Aries ascendants, this constellation will move your career forward and allow some long-term goals to be realized. At the beginning of the month, Venus will be exalted in Pisces while the Sun and Mercury occupy Aquarius. The strength of Venus in Pisces could indicate a long trip or drive, international travel, or investments, all related to family or a relationship. The Sun will be in Aquarius until March 13th, which can herald a (slight) improvement in finances, after which it moves into Pisces. While the Sun is certainly overall happier to be in Pisces, this sign is a difficult sign for Aries ascendants that is associated with expenditures and debts. Alongside Venus and Mercury, this can indicate expenditures on vehicles, contracts, or government fees/taxes. On the 5th, Mars will enter into the friendly sign of Sagittarius creating a raja yoga or “royal combination”. This combination improves finances, opens up job opportunities, and is good for personal development. This combination will last throughout the rest of the month. On the 21st, Jupiter will retrograde back into Scorpio, and this could cause a sudden financial loss or problem with business. This is followed by a retrograde Mercury, and the two retrogrades mean this is NOT a good time to make a business decision or work with a new partner. Don’t sign new contracts at this time. At least wait until the Mercury retrograde ends on the 15th of April before resuming business contracts and negotiations. Venus enters Aries on the 26th, resulting in time with family for most Aries ascendants, but it can also open up good opportunities for self-employment work. The month begins with a nice Mars/Jupiter combo that is good for new business opportunities, setting goals, and in general just gives you a lot of creative energy, though it’s not as good for personal relationships. This will last until the 5th, at which point Mars will move into a more troublesome sign (Sagittarius) that can agitate health issues, and again isn’t great for relationships, including business partnerships. Venus is exalted in the 11th house (Pisces), and when combined with the Jupiter/Mars combo early in the month this should give more income, but at the expense of a great deal of work. The extra money won’t come easily! Mercury joins Venus in the first week of March, which adds to the financial possibilities already inherent with the exalted Venus, creating a strong Dhana Yoga (“wealth combination”). On the 13th this combination gets joined by the Sun and becomes even more auspicious for finances, job opportunities, promotions, or any kind of rise in status. Rahu and Ketu sit in the 3/9 axis of the chart in Cancer and Capricorn. This is the opposite of what I would like to see (would prefer Ketu in Cancer and Rahu in Capricorn) because it challenges people’s principles and ethics, often resulting in neglecting your principles for the sake of bad friendships or to take advantage of an opportunity. If the 9th house is strong in your natal chart then this isn’t such a bad combination and can actually lead to meditation, but for many, the diminishing effect of Ketu in the 9th house of ideals, religion, and ethics will likewise diminish those very areas of life. Since the 9th house is also associated with the father it can lead to estrangement from the father or he could have health problems. Women can handle this placement of Rahu and Ketu better than a man can, as for the latter it can cause a lot of frustration and stagnation in life. Saturn has moved from the gloomy and introverted aspects of the constellation Mula into the brighter energies of Purva Ashaddha, which is ruled by your ascendant-lord Venus. This is actually a little hard to predict, because the usually auspicious Saturn (for Taurus ascendants) is a difficult 8th house of sickness and loss, but will be moving into a better lunar constellation ruled by the ascendant lord. It doesn’t have the nice aspect of its lord Jupiter to pacify any malefic energies, so I am worried that this will be a double-edged sword. On the one-hand, the movement of Saturn into Purva Ashaddha will bode well for business and career, but on the other hand it could make some health issues rise to the surface. Chanting hymns to Ganesh to remove obstacles will help remedy problems with Sturn and protect health. You have some powerful planets in your kendras (quadrants) this month. Saturn and Mars are in the 7th house, neither of which are great planets for Gemini, but they are benefited by a strong auspicious Venus aspecting them from its exalted station in Pisces. This means that the relationship problems heralded by the Saturn/Mars energies are cured through opening the heart (Venus) and taking a break from the rote daily lifestyle that most relationships fall into, and going on a nice vacation or taking some time to change up the relationship and have fun. If this Saturn sitting in the 7th house has kept you single for the last year, then the auspicious energy of Venus aspecting so strongly could bring someone into your life this month. For others, the 10th house association of Venus can open up investment opportunities, foreign work, or even international business trips (or trips over a long distance, such as from East Coast to the West Coast of USA). Rahu and Ketu sit in the 2/8 axis of the chart in Cancer and Capricorn. This will cause obstructions with the digestive tract related to excessive wind (over-thinking and anxiety) and dryness (bad diet), so you need to make sure your diet is good and nourishing. It can also cause problems with the immediate family. Jupiter moves into the 6th house of Scorpio this year, meaning you will have to do a lot of work this month! Especially doing extra work for your employer or, if you’re a student, doing extra-curricular work with your professor. This will actually be a trend for the rest of the year, but it pays off big time next year when Jupiter moves into Sagittarius and opens up a lot of business opportunities for you! At the beginning of the month the Sun is still in Aquarius, illuminating some new ways of thinking about your life and re-orienting yourself towards a beneficial way of life and a better way of thinking. 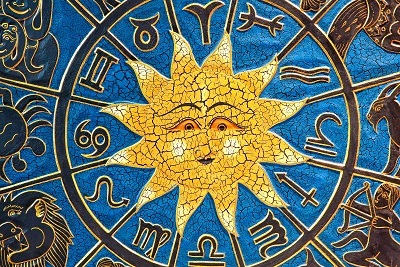 March 13th the Sun enters into Pisces, a much better place for it than Aquarius, where it joins an exalted Venus. This is a very heart-opening combination that can improve your outlook on life and elevate you in your career. You may also have to go on a business trip, or even move for a new job. The self-work indicated by Rahu in the ascendant will continue to be a theme for much of the year. This is a time for centering your energies and cultivating your own strengths instead of working on big career projects. Intimate relationships should be either totally avoided or at least have their intensity reduced to something more friendly and distant, or you will end up sending valuable energy on someone else instead of directing it towards your Self (where it needs to go). At the beginning of the month the Sun will be in Aquarius, which can cause health issues from heat, infections, and digestive problems. It can also cause health problems with the father, or the loss of someone in the immediate family. This ends on the 13th, when the Sun enters into a much better position in Pisces. This creates a Dhana yoga (wealth combination) that can improve income, and if you’re looking for a new vehicle this is a good time to buy. It is also a good time for artists and performers to make money, as well as being a good combination for anyone who trades in vehicles, jewelry, art, or fashion. Jupiter in Scorpio is an excellent place for education as well as creative work for business such as planning, marketing, etc. Mars begins the month alongside Jupiter to add plenty of energy for this creativity to really shape up and take form, but by the 6th it moves into Sagittarius where its energies function more as hard work and service. In other words, the first week of March is good for planning and setting the stage for your goals, but the rest of March is for work and service, especially if you can help those who are in need (indicated by Saturn’s presence in the 6th). The ascendant lord Sun is in Aquarius until the 13th, at which point it moves into Pisces. Aquarius is a difficult sign for Leos that weakens the health and can interfere with business and finances as well. The desire to move forward and accomplish something is there, but there isn’t enough energy to support it, leading to frustration or failed attempts. The most important thing is to take care of the physical body in the first 2 weeks of March, otherwise health issues will arise from the middle of March into the middle of April. For men, this especially means regulating sexual activity and allowing the kidneys/adrenals to replenish until May. The 8th house of Pisces is going to be a busy sign this month, with an exalted Venus, the ascendant lord Sun, and Mercury all occupying it by the 13th of March. Pisces is a complicated sign for Leo because it rules the 8th house of sickness and it weakens the planets in it, and with the Sun and Venus there it can cause problems with the father’s health, personal fatigue, and sexual health issues as well. These combinations could also indicate a funeral, or gaining a job that works with the dead or dying. However, due to the malefic aspect of Saturn on Pisces I am more concerned about health and family for this month. The Rahu/Ketu axis for Leo is in the 12/6th houses. Not great for finances, but good for self-work and service, especially meditation. Rahu in Ashlesha in the 12th house of Cancer is an excellent chance to clear out the “skeletons in the closet” and work on the deeper parts of the psyche. Satun in Sagittarius makes this a good time for discipleship, learning vocational skills (especially traditional trades), and abstaining from too much leisure or luxury. Jupiter and Mars start the month in Scorpio. Mars is a tremendously benefic planet for Leo, and its placement in its own sign of Scorpio at the beginning of the month can give you a lot of energy to work on your house, do some renovations, purchase land, etc. After the first week of March, Mars will move into the 5th house of Sagittarius, a friendly place where it will give a kick to Saturn’s energies that have been sitting stagnant there, initiating some of the things mentioned above such as discipleship, traditional skills, and so on. For those actively engaged in spiritual work, March will be a good month for a retreat or more focused meditation practice. This is an excellent month for all kinds of business work, new contracts, working in vehicles or precious jewels, and it is also a good month for intimate relationships. In fact, it could actually be too good of a month for relationships, resulting in obsessing too much over another person and thus missing the other opportunities that an excellent Venus will provide from Pisces. Mercury is conjunct Venus at the beginning of the month, and this conjunction will last through the month, creating what is called a Dhan Yoga (wealth combination). As the name suggests, there are plenty of financial opportunities with this combination. The main obstacle to this money-making potential is Saturn sitting in Sagittarius, where it exerts a malefic influence on Pisces. This means that you may just feel content with where you are at and decide not to exert yourself to get more money or make more progress in business. It could also manifest as a bad living situation that is obstructing your potential. Rahu and Ketu are in the 11th/5th house axis in the constellations of Ashlesha and Sravana. Your voice may have problems (or get you into trouble), so learn to use it well and truthfully. If you have kids, one of your children may instead have similar issues. The combination of Rahu in the 11th while Venus is exalted in Pisces just adds emphasis to the potential of this month to help you financially. For those more spiritually inclined, this long-lasting placement of Ketu in Sravana in the 5th house is an excellent time for studying the science of mantras and learning to use the voice for spiritual development. International travels could be indicated by the Sun’s presence in Pisces after the 13th of March, or it could indicate an investment opportunity as the door into the financial possibilities presented by the exalted Venus. This combination can also lead you to buy a new vehicle. Jupiter and Mars start the month in Scorpio. Mars here gives strength and courage, so its energy here throughout February and the first week of March is good for exercise, martial arts, and standing up for your principles and ideals. It leaves Scorpio after the first week of March and Jupiter moves deeper into Scorpio to replace those fiery energies of Mars with the peaceful and benevolent energies of Jupiter, allowing you to repair any bridges you may have tried to burn while wielding Mars over the last month. Mars will move into Sagittarius early in March where it enters into a troublesome combination with Saturn, which can cause a considerbale amount of stress, or indicate health problems with your mother. It can also lead to problems with your home, so you may need to do some house repairs. The month begins with Jupiter and Mars in Scorpio, where they give a mixed bag of good and bad results. Mars is strong here naturally, but for Libras it can cause you to spend money and time on family and may cause some digestive issues. This only lasts until the 5th however, at which point it moves into Sagittarius where it is more supportive of Libra, giving you courage and energy to accomplish goals. Jupiter will be in the 2nd house throughout the month, which will do some good financially and psychologically, helping you see the bright side of life and giving you the support of people you look up to. Unfortunately, it will still be about two months before Jupiter really has a chance to settle into Scorpio and give definite results due to a retrograde motion that starts on the 12th. The Saturn/Mars combination in Sagitarrius that lasts throughout the month is an interesting placement for Libras. Saturn here will test your resolve and try to sharpen your skills and strengthen your principles by moving you through various life tests (this has been the trend for the last year), and Mars here gives you the energy to be courageous and march through any obstacles in your way to success. Your goals and principles will feel sharper and more tangible, so take advantage of this! When combined with Rahu in the 10th house of Cancer this creates plenty of energy for you to initiate change in your life. This energy will continue to improve all the way into May. Mars in Sagittarius combines excellently with an exalted Venus in Pisces. This could actually be overwhelming at first since the power of Mars with the exalted Venus will generate a lot of passion and drive that you may not know what to do with. Similar to the 3rd house of Sagittarius, the 6th house of Pisces indicates strength, courage, and overcoming obstacles, so direct your energy towards accomplishing your personal goals and cutting through any obstacles to your success. Venus creates a lot of raja yogas (royal combinations) here that can exalt you in your work, elevate your status, and lead you to important friends. The Sun is in Aquarius until the 13th, where it is weak but can still be helpful in opening the heart and encouraging creativity. On the 13th it enters into Pisces to join Venus and Mercury, where it benefits from the exalted influence of a benefic Venus (the ascendant lord). The Sun and Mars will be in quadrants to each other, further energizing the chart and giving you clarity on goals as well as the energy to pursue them. There may be some legal difficulties or stressors, but nothing too serious. Drive the speed limit and be a little extra careful and all should be fine. Your ascendant has strengthened considerably over the last month (most of February) by the presence of the ascendant lord Mars in Scorpio. The month begins with Mars still in Scorpio, strengthening the physical body, improving health, and in general giving you a lot of energy to accomplish things. On the 5th, Mars enters into the next sign of Sagittarius, which is again a strong placement for Mars that is good for real-estate, health, and improving your strengths, and can also lead to spending extra time with family. Jupiter will spend the month residing in Scorpio, replacing Mars as a strong benefic planet in the ascendant. Jupiter is a great planet for finances and creativity for Scorpio ascendants and is also a good indicator for education. However, Jupiter won’t quite give its full results here yet (which is a few months off still) since it will go retrograde on the 9th. A financial prospect that seemed promising may “reverse” and seem like it is retreating or falling apart. This may be the trend for the next few months as Jupiter moves backward into Libra until July 10th, at which point Jupiter (and your finances) will begin moving forward again and making progress. Luckily a strong Mars in Capricorn will get you through those rough months (more on that in the May and June forecasts). Ketu and Rahu are in the 3/9 axis, which tests your ethics, principles, and life values. Ketu in the 3rd (Capricorn) is a classic placement for spiritual practice and meditation, and in Sravana it particularly indicates mantra practice. Rahu in the 9th in Ashlesha indicates deep work on your principles, and may put you in compromising situations where it is difficult to take the high road. Pisces is a full house this month with an exalted Venus throughout March, joined by Mercury and the Sun for most of the month as well. Venus is a troublesome planet for Scorpio, but its exaltation renders it much more benefic and can bless your life in several different areas. In finances, this combination can grant a much-needed loan for education or can give you a grant or scholarship for the same. It is an ideal time for couples looking to conceive a child. It can also lead to a pleasant journey or vacation. Mercury and the Sun further add to this and can increase finances and career prospects, making it a great combination for people in the auto industry or those who deal with jewelry and art. A new relationship could blossom, or a steady relationship could become much more serious. Until the 13th of March the Sun will be in Aquarius, where it is pretty unhappy and may make things stagnant at work or lead to a lot of house work. On the 13th it moves into Pices where, as mentioned above, it adds a good benefic power to the already benefic Venus and creates a number of raja yogas (royal combinations) that increase wealth and status. Hence, it is ideal for promotions or moving to a better, higher-paying job. With your ascendant lord being in the 12th house this is a good month for moving and long travels, but financial investments should be avoided as they will end in debt. By the 15th Jupiter will go into a retrograde motion leading it backward into Libra over the next month where it will do more good financially for you than its current placement, improving finances until around July. Mars enters into your ascendant on the 5th of March and brings with it a lot of creative energy to accomplish your goals. Mars is a natural benefic for Sagittarius ascendants, and can lead to international travel, real-estate investments (which should be postponed until April! ), and educational endeavors (or travel for the sake of education). You’ll spend some money, but it will be for good enterprises or charity work. Pisces is very strong this month due to an exalted Venus occupying it. Financially, this is a good time for investing in a vehicle or home, or doing interior design with your house. Psychologically, Venus helps open up the heart by giving you beautiful experiences, and can also lead to a meaningful vacation or journey. When combined with the aspect of Mars from Sagittarius, this month will be an important month for service and tending to others, and can peel back the layers of the heart to do inner work. Mercury and the Sun will join Venus halfway through the month, further increasing its power to do good and illuminate the heart. The Sun can instill new principles and life-goals, encouraging you to look at life in a positive light. Mercury is much more business oriented than the Sun and Venus, but also supports travel for work and encourages you to work on yourself instead of being so concerned with your career. The Ketu/Rahu axis is in the 2nd/8th houses, where it will continue to be for some time. Be careful about the quality of food you eat, and especially be careful if you will be traveling to a country with some poor food standards or bacterial issues as this sets the stage for food poisoning. Saturn has moved from the constellation Mula into Purva Ashaddha, which also frees up energy in your life to accomplish more of your goals. It is still a big, slow planet sitting in the ascendant, so its not a huge improvement, but its the best of a bad situation. Saturn in your ascendant has a tendency to stagnate life, but it moving slightly into a better lunar mansion within your ascendant does improve your odds and helps energize things more. Capricorn is still having to deal with two rough situations: 1) the Ketu/Rahu axis afflicting the ascendant, and 2) the ascendant lord placed in the 12th house of loss/debt. Both of these situations weaken the rising sign and can make it hard to achieve your goals or make meaningful progress at this time. There will be some reprieve from this long-lasting combination in about two months when Mars moves in and significantly strengthens the ascendant, but until then some things in life may feel like an uphill battle. For people on the spiritual path, these combinations will be less restricting and even open you up to new spiritual experiences. For those solely focused on their material life, this is a frustrating combination of planetary situations. The best recourse is to Ganesh for protection, or even better, to introspection and self-reflection so that you properly utilize the transformative powers of Ketu in the ascendant. Rahu in the 7th can actually give a lot of energy for business work, but it needs an extra push from other aspects. You will get this push powerfully in June and July from an exalted Mars, but until then it may be better to work on smaller projects instead of larger, more important ones. Jupiter and Mars start the month in Scorpio, where Mars can open up some new financial opportunities while Jupiter gives expenses on behalf of international travel, visiting teachers, etc. On the 5th, Mars will move into the 12th house where it will likely cause some financial issues, at least in the form of expenditures if not just less income this month. Your housing situation may change, and this could satisfy the conditions of Mars without having to lose income directly, just having to expend some money on moving or traveling. 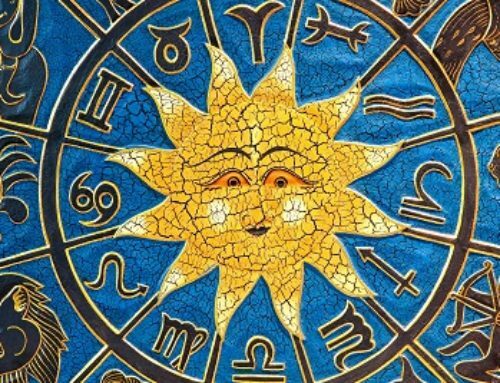 The Sun spends the first two weeks of March in Aquarius, which it is pretty unhappy about, where it adds to some of the financial woes of the Mars/Jupiter combinations mentioned above, and can also cause problems with the digestive tract and food-related illness. On the 13th it moves into Pisces (which it is much happier about) to join an already strong Venus. This combination will help you to recover from any health issues. The Venus/Sun/Mercury combination adds a lot of energy to the parts of the chart that deal with self-improvement and personal growth. This is a great combination for artists and designers of all types that can elevate you in those groups and societies. Doing self-wor that opens the heart and allows you to connect meaningfully with friends and family is recommended as well. The Sun begins the first two weeks of March in your rising sign Aquarius. This is a difficult placement that can cause health and relationship problems that arise from putting too much focus on yourself and not enough on your surroundings. This situation improves when the Sun leaves Aquarius on the 13th and enters into the friendly sign of Pisces, where personal integrity is regained, finances stabilize, and your energy begins to move forward again. An exalted Venus will grace the sky throughout the month, opening up new financial opportunities, increasing wealth and happiness, spending extra time with your family, and maybe going on an important trip. The Sun will join this combination on the 13th, bringing your desires and goals into clearer focus and thus making them more attainable. An authority figure may come into your life between the middle of March and the middle of April that can open up new business avenues for you, or you may need to go on a business trip. Mercury can be a little troublesome, so any new business contracts should be scrutinized by people you trust. For the first week of March, Mars will be strong in the 10th house opening up some financial opportunities and forcing you to learn some new skills for the sake of job prospects. This combination was active for most of February and comes to an end by the 5th of March as Mars moves into Sagittarius. In Sagittarius, Mars can bring into actuality some of the job prospects of February, turning them into actual income instead of just training or job prep. Jupiter begins the month moving into the early degrees of Scorpio where it creates wealth combinations (Dhana Yogas) that help Mars bring new job prospects into your life. However, by the 15th Jupiter will enter into retrograde motion and begin moving backward into Libra again, which could put some job opportunities on hold and force you to come up with a better gameplan. A potential boss may become hesitant for a little while about hiring you or a family situation could force you to postpone some job plans. This is a short-lived situation, and even in the 9th house of Libra Jupiter can still bring blessings into your life. You are going to have some pretty great planetary combinations blessing your chart this month. An exalted Venus will be in your ascendant all month long, where it can improve health, grant money in the form of inheritance or unexpected income, and give you plenty of energy to accomplish personal goals. As the indicator of all relationships it brings felicity to marriage and for those who are single it can bring someone new and important to your life. This will be joined by Mercury and the Sun by the middle of the month, giving you plenty of energy to overcome obstacles and accomplish your goals. The Sun will give clarity on how to properly use your potential. At the beginning of the month the Sun will be in the troublesome sign of Aquarius, which can cause some financial loss on account of the government or debts, and some relationship stress as well. On the 13th it will move into Pisces, supporting the auspicious Venus and giving clarity to your life as mentioned above. Some self-employment opportunities could come your way, especially those which involve serving others and helping those in need. You may be asked to do extra work at your job (without extra pay), but the reward comes later and benefits you. For musicians or artists this is an excellent month to do some free performances to get your name out in the community and make important connections. Mars begins the month in Scorpio, where it resided for most of February, strengthening your values and integrity, and encouraging you to spend more time supporting your family and especially the father. On the 5th it leaves Scorpio and enters into Sagittarius, where it adds a great deal of energy towards your career. Any association of the 9th lord with the 10th house (as happens when Mars moves into Sagittarius) aligns your personal principles and goals with your career and job karmas, creating clarity and opening avenues for you to get a job that resonates with you personally and grants a sense of fulfillment and satisfaction. Jupiter will be barely into Scorpio in the first half of the month, giving you a brief time with your spiritual guide, or putting you in the good graces of a boss or business associate. However, come the 15th it will enter into retrograde motion and begin moving back into the 8th house of Libra, where you may be deprived of the blessings of your superior for a short time, or you could suffer a health flare up. This is fairly short lived, and by summer time Jupiter will be making good progress again into Scorpio and this time it will stay there and grant many blessings in your work, elevating your status and improving finances.